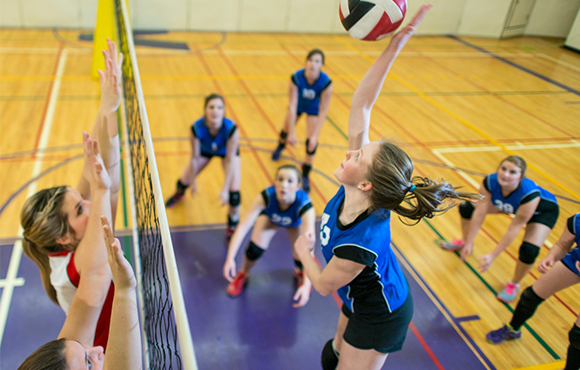 Team sports–from volleyball and basketball to lacrosse and water polo--do more than just keep kids fit. 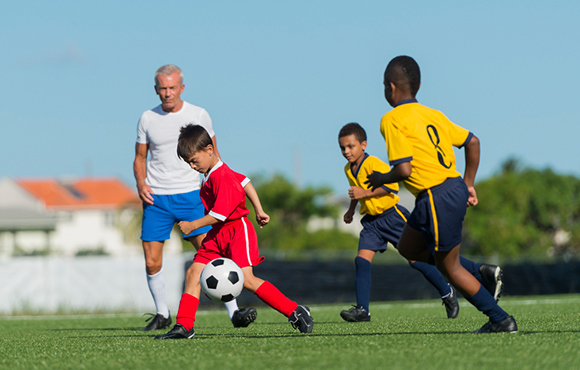 By instilling healthy habits and keeping children busy and active, the team practices and games can help players not only physically, but also mentally and emotionally. With childhood obesity plaguing the youth of America, team sports are a great solution to providing children with consistent exercise. Regular exercise burns calories, boosts immunity, strengthens muscles and bones and helps establish healthy habits for life. 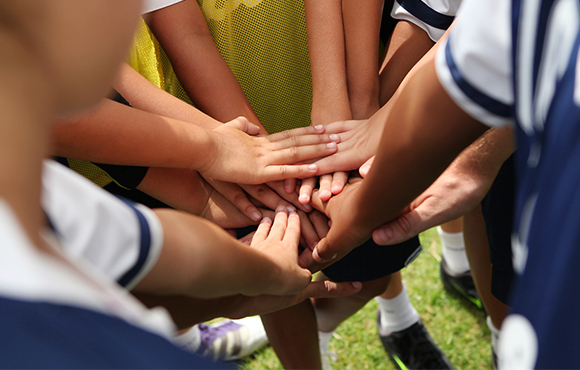 Having a team attitude not only encourages sportsmanship, but also cooperation. Learning to work together to achieve a common goal, even with teammates they might not necessarily like, teaches kids how to develop friendships and empathy. Team sports introduce teammates from all over the city, in a space where learning how to get along with people with different personalities and from different cultures is easier. It doesn't take too long for team players to learn not only how to listen to coaches and their peers, but also to respect them. Being part of a team means that everyone, from the star player to someone who hasn't had as much experience, deserves respect on and off the court. 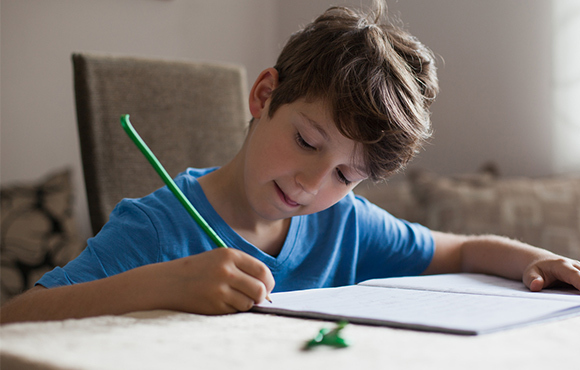 Learning to balance practice, homework and family time becomes imperative, especially as kids get older. Students playing sports have the opportunity to learn how to find a healthy balance among the different areas of their lives, making it to games on time, studying and fitting in enough time to get some rest. 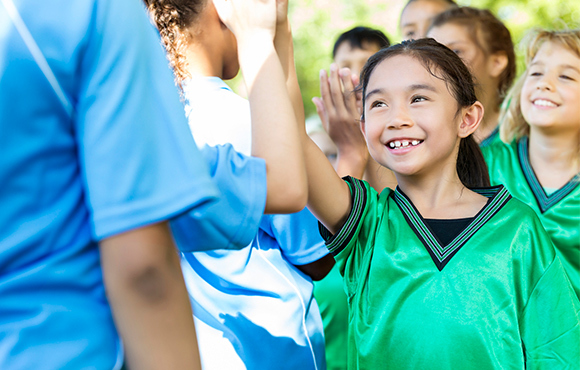 Especially for students who are struggling learners, team sports can provide a bright spot on a rough school day. Physically active kids have up to 40 percent higher test scores, according to Project Play by the Aspen Institute. 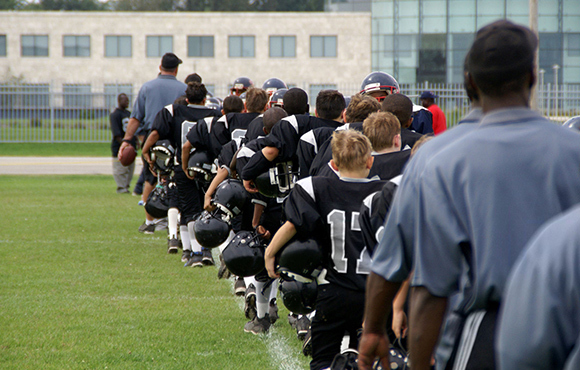 Teammates and coaches serve as a vital support system for players, and they can help build the self-esteem that gets lost when a student is not doing as well off the field. In addition, it may help create an incentive for a struggling learner to work harder in the classroom so they can perform out on the field. Sports are a great way to loosen up and play out any frustrations. 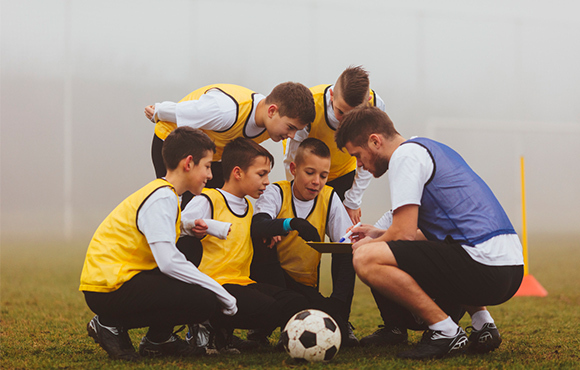 Making friends on the team and having mentors in coaches and older players can also give kids the option to let out any worry or stress they have developed during the day. Life isn't always fair, and referee calls don't always seem to be fair either. Athletes have to learn how to deal with disappointment, making young players stronger as they grow older. Their team won't win every game, but loss can teach the true importance of perseverance and never giving up.